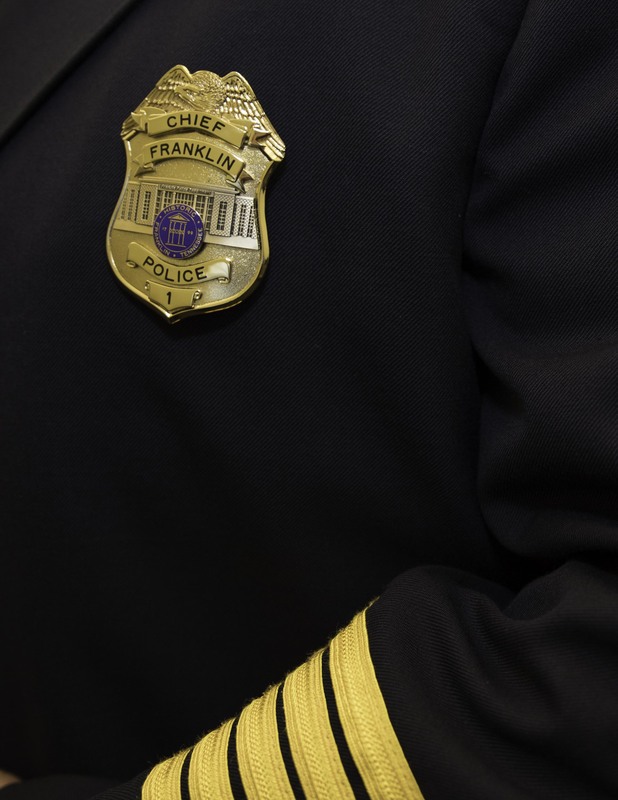 The Franklin Police Department began issuing new badges to officers yesterday. The updated design incorporates Franklin’s City Seal set over a rendering of Franklin Police Headquarters. Over the last year, the Department has been working on a design that better reflected the community and the police officers who serve it.